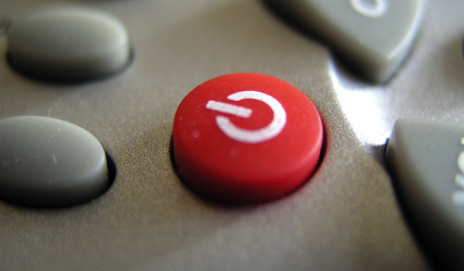 Pay TV subscriptions – one in five want out – do you? Apparently one in five current paid-for TV subscribers are tied into an unwanted contract. Is 2011 the year that you too will want to save some cash by letting your TV subscription slide? The research comes from Freesat, the free-to-view digital TV service from the BBC and ITV. And although it has a vested interest in publishing this data, it does seem that in these austerity-hit times many of us are looking at our pay TV contracts – do they actually represent value for money? Even minimum subscription contracts to Sky or Virgin are likely to set you back £1000+ over a five-year period (and a whole lot more if you get the premium sports and film channels). There’s certainly a lot of money to be saved by switching to Freeview or Freesat services. Sure, you won’t get access to the pay-channels, but how often each week do you actually tune into them? Separate research by the Broadcasters’ Audience Research Board found that around 60% of Sky subscribers only watch the free channels. So you could be paying a lot to access hundreds of channels when you’re only watching a few of them. But why are people sticking with their unwanted TV contracts? Freesat’s research suggests that inertia is one of the main reasons – they want out but just never get around to doing anything about it. Meanwhile the direct debits keep draining funds from their bank accounts each month. Does this strike a chord with anyone out there? Do you want to get out of your expensive TV contract but haven’t found time to do it? Or maybe you think your TV subscription is worth the price you pay each month. I have used SKY for a while until the HD box I bought failed within less than 3 years. The replacement was duff and at that time I saw an advert for Humax Freesat HD. Bought one & connected to the SKY dish – perfect. Cancelled SKY and have already saved the initial outlay for the Freesat box. Miss SKY slightly for some channels, but with Freesat AND Freeview, I’m saving a fortune!!!!! I had Sky for several years, but they kept jacking up the price. There were too many advert breaks, sometimes only a minute or two into a program, or the same before the end. Plus the long charity adverts tried to make me feel guilty for affording a TV, by showing lingering shots of some abused child whimpering. Enough! I gave them notice of terminating my contract, then they kept pestering me, offering 3 months free. I managed to extracate myself, and found I could still get all the free channels with my cardless box. That was intill I powered the box down one day to avoid wasting power on standby. After that, the box never worked again. These days I no longer watch broadcast TV, and watch only DVDs. I don’t even have a license anymore. Because of poor terrestrial signal in my area, I purchased SKY. After only 2 years 6 months my SKY HD + box failed. I contacted SKY and was told that I’d have to purchase ANOTHER box – I mentioned the Sale of Goods Act, but they were NOT impressed. I threatened to cancel my subscription and they sent another box free – this one didn’t record in HD. That was the `last straw`. I saw a Freesat HD box which could record 2 separate programmes at once and would plug into my SKY HD dish. I bought one and cancelled SKY. Two years on and the Freesat box still records in HD and it paid for itself within the year. Goodbye SKY!!! I signed up to a 12 month contract with Sky T.V. + MULTI ROOM. However I am now pregnant and will soon be on maternity leave. Myself and my partner would like to terminate the contract early. It ends June 2012. However we contacted sky and they said we cannot terminate the contract before June 2012 without paying charges. Does anyone know of anyway around this? What I need assistance with is cancelling my Sky TV subscription. I have phoned up three times tonight and wasted over an hour of my time waiting to be put through to the cancellation department. The initial call is answered and some details are taken as in I want to cancel my subscription. I was told there was a short wait and was put on hold listening to looped details of sky programmes. After half an hour I hung up and phoned again complaining vociferously about wasting my time, during the wait (I am on line too but the chat button is greyed out and marked busy) I log into my bank account and cancel my subscription. Hang up and phone a third time and tell the person on the end of the line what I have done, again I am going to be referred to the cancellation and am assured it will be answered in a short space of time. Just like the last two call answerers he lied. It is scandalous that I have to jump through these hoops and waste my time to cancel a subscription I no longer want. After making my best endeavours to cancel do I have any liability because they prevent me cancelling by not answering my calls?